This sure has been a wonderful tour and today is no exception. Our first venue today is the National Music Museum located on the campus of the University of South Dakota. 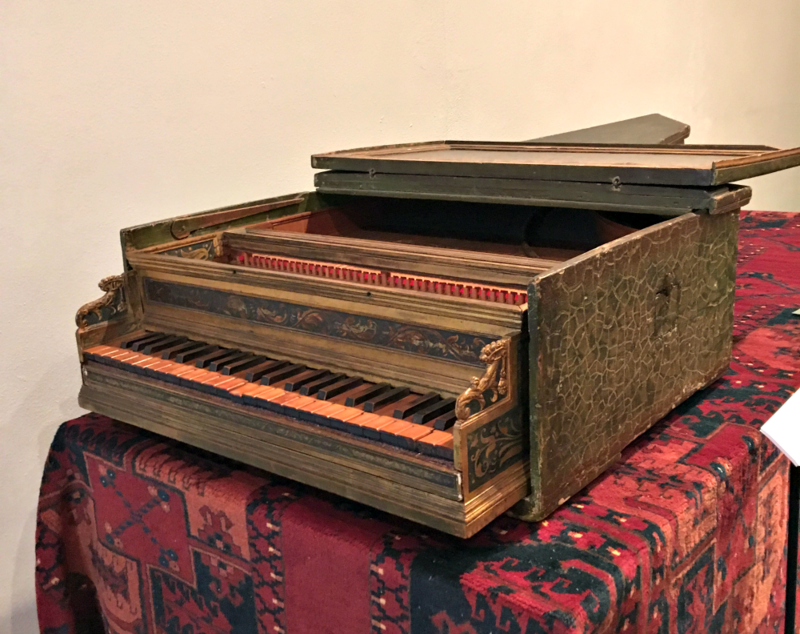 The musical instruments we saw were rare Violins, Pianos, Harpsichords, Trumpets, Saxes and many many more. Wow is all I can say. After this fabulous tour we headed north to Sioux Falls and our accommodations. We all had a nice break before the short drive to Falls Park. We arrived approximately at 5 for a wonderful catered dinner. Thank you Tony’s. Afterwards we took a walk around the park and viewed the Falls for which Sioux is named. Here’s a video that shows a few of our favorite parts of the day. A few of our favorite pictures from the day. 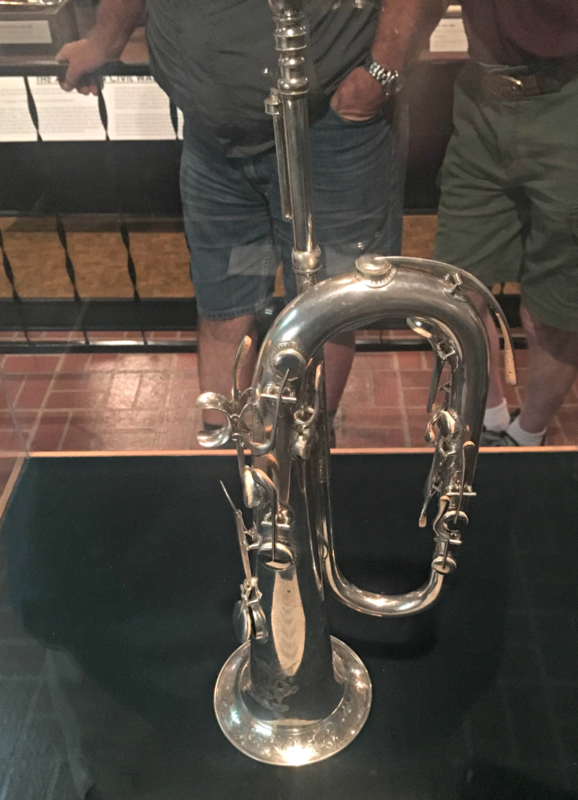 An example of a rare instrument at the National Music Museum in Vermillion. 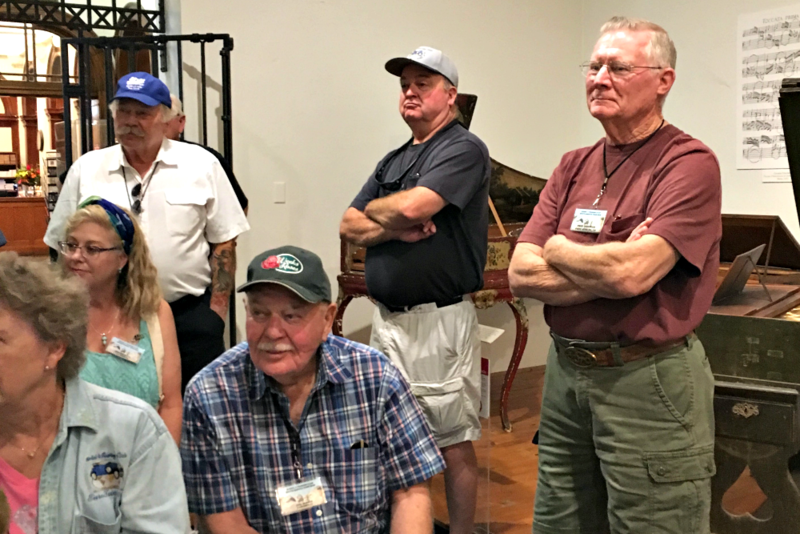 Tour-goers listen at Vermilion’s National Music Museum. A Model A marks the entrance to the Model A Touring Club picnic location in Sioux Falls. A group of Model A’s pass under the arch and entrance to Falls Park in Sioux Falls.